A novel about a woman who returns to Cambodia, the country she fled as a child during the Khmer Rouge regime, to speak to a man who claims to have been in prison with her father. Ratner stirs feeling — sorrow, sympathy, pleasure — through language so ethereal in the face of dislocation and loss that its beauty can only be described as stubborn ... Here, as in her debut novel about Cambodia’s genocide, In the Shadow of the Banyan, Ratner forges many musical phrases from conflict ... Music of the Ghosts has itself been fashioned by a writer scarred by war, a writer whose ability to discern the poetic even in brutal landscapes and histories may be the gift that helped her reassemble the fragments of a self and a life after such shattering suffering. 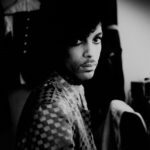 ...a sensitive, melancholy portrait of the inheritance of survival — the loss and the pain, as well as the healing ... The novel throbs with heartache, as well as with frank descriptions of cruelty and misery. It’s a harrowing, personal portrayal of a dark stain on modern history, one in which Americans played a significant part ... The pace is plodding at times, and there are some stumbles in the prose, which strives for a musicality Ratner doesn’t quite pull off. 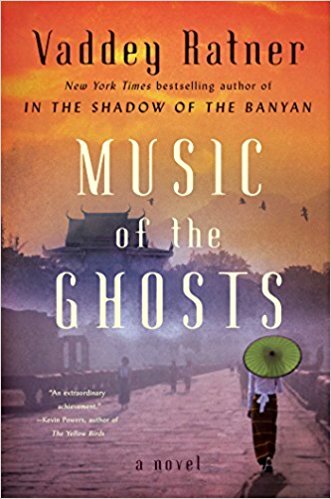 But despite its faults, Music of the Ghosts is an affecting novel, filled with sorrow and a tender, poignant optimism. As Ratner leads her readers to the ultimate collision of guilt and forgiveness, darkness and song, she offers instruction in history and Cambodian culture, some of which is seamlessly interwoven into the lush narrative and some of which feels interruptive, perhaps didactic. There are places, too, where the language overreaches, where a single descriptor might have been more powerful or a simpler word might have gotten the job done ... The deeper I read into Music of the Ghosts, the more engrossed I became in the tangled skeins that define her characters' lives, in the history that her fiction illuminates, in the perceptions that could break a reader's heart. What did you think of Music of the Ghosts?